The name Meze Audio was unfamiliar to me until the Romanian outfit got in touch with an offer to review their £279 ($309) 99 Classic headphones. The 99 Classics have in fact been in production since 2015 following 6 years of extensive research after the founding of Meze Audio in 2009. Chief designer Antonio Meze was seeking a pair of headphones that were more than the ordinary pair of headphones. An object of desire and personality, designed to convey and promote a passion for music. Ordinary headphones feature ordinary materials and are designed as a throwaway commodity. Meze designs its headphones as it would a fine musical instrument, with more exotic materials combined with equally advanced engineering in the pursuit of an expressive and musical sound and ever-lasting enjoyment. Needless to say I accepted, and a pair of Walnut Silver classic 99s duly arrived. The 99 Classics arrived in illustrious packaging. It’s clear from the get-go that you’re holding a premium product. Ordinarily I’d criticise a manufacturer for wasting the materials budget on an unnecessarily lavish box, but the packaging for the 99 Classics leaves a lasting first impression and is itself not designed as a throwaway accessory. 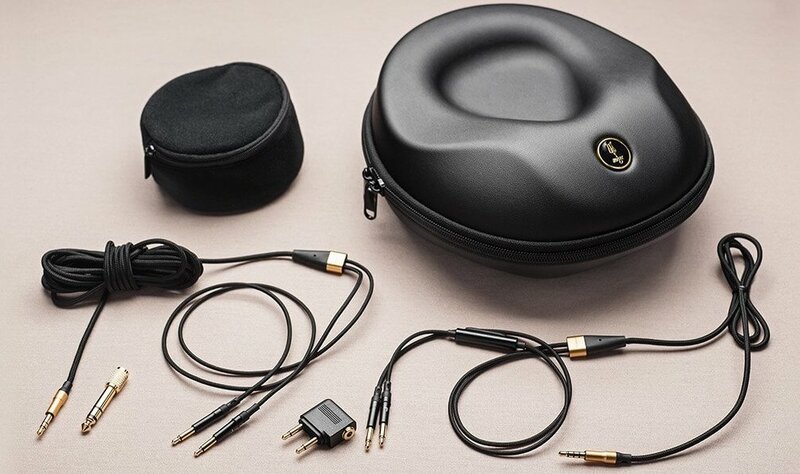 Inside, the headphones themselves are enclosed in a sculpted Hard shell case featuring a Meze Audio logo and a second pouch within to store the provided accessories. These include a long cable for home listening, a shorter cable with inline remote for mobile devices, a quality 3.5 mm to 6.3 mm quarter inch adapter and an airplane adapter. Documentation is pleasingly minimal and even it is neatly presented. Just as a quality musical instrument is a wonderful thing to behold, so are the 99 classics. 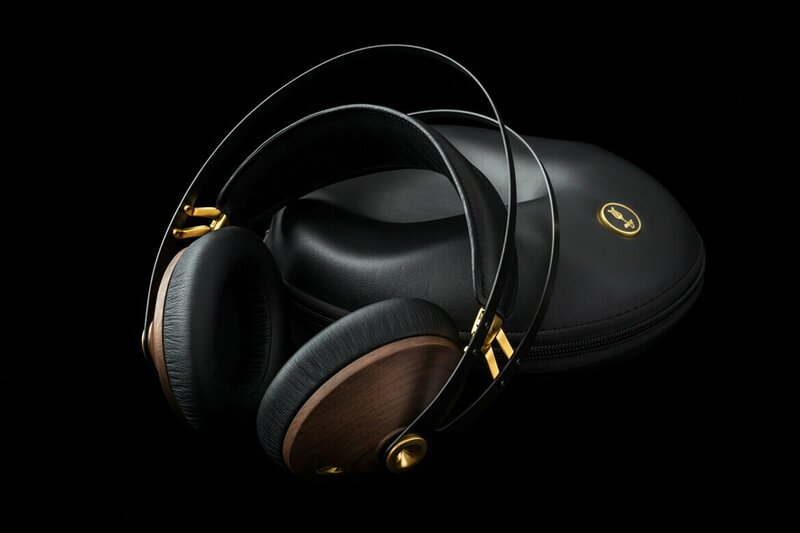 They are a supra-aural, closed-back design; beautifully constructed with PU leather ear pads and gorgeous wooden ear cups. Meze chooses walnut for its stability and acoustic properties as well as its unique aesthetic, and each cup is precision CNC carved and shaped. The shaping process can take up to eight hours. A 45-day process of sanding, lacquering and finishing follows before the final product is checked for flaws with zero flaws permitted to reach the final stages of assembly. 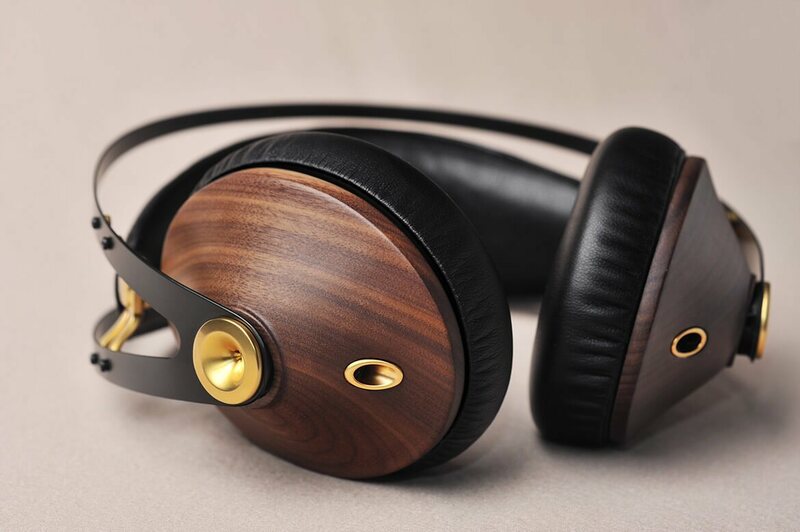 Meze is keen to stress that all of the wood used in their headphones is harvested from mature trees at the end of their lifecycle. In this way Meze minimise their impact on the environment, and old trees are given a chance to shine once more as a pair of Meze headphones. 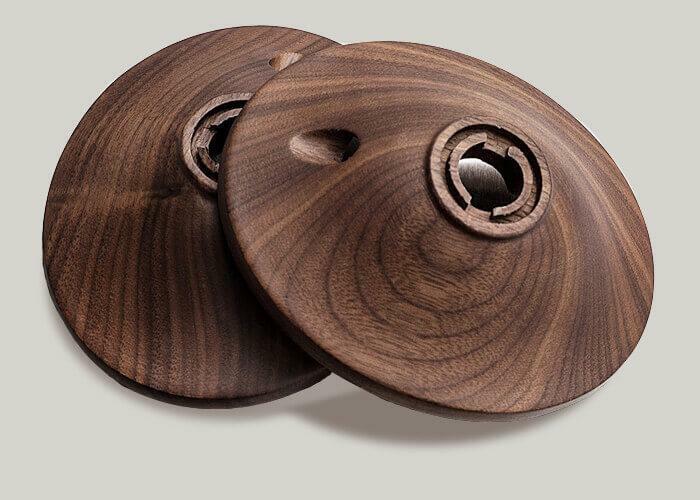 Using wood is not only for aesthetic purposes – it is, after all the most prominent material used in the manufacture of speaker enclosures, so using it to produce a pair of headphones isn’t as implausible as it may first seem. Elsewhere the Classic 99s feature a spring steel frame with an elasticated headband, enabling the headphones to automatically adjust to any head. The Classic 99s are engineered for durability, with each component serving a structural or sonic purpose and no components featured purely for aesthetics. They’re also designed with serviceability in mind as each and every part is easily replaced. The classic 99s feature 40 mm transducers with a rated impedance of 32 ohms and a sensitivity at 1MW of 103dB at 1kHz. This means they’ll be easily driven by virtually any device, though dedicated amplification or a decent home hi-fi will of course allow them to reach their full potential. 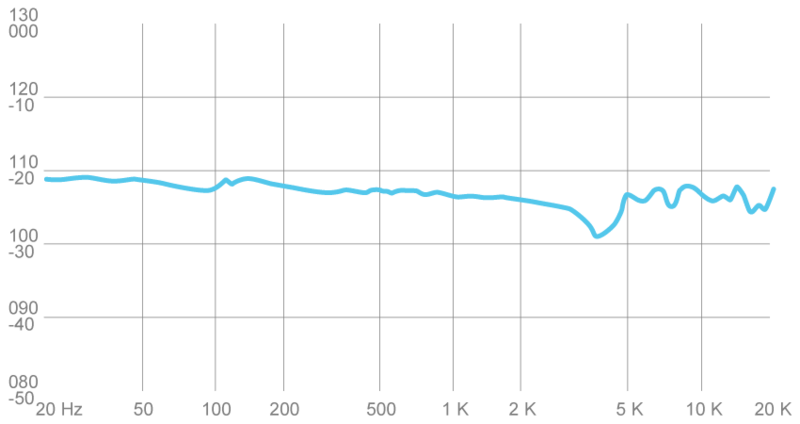 Frequency response is rated from 15Hz to 25kHz, with the cans tuned for a more involving and musical presentation rather than accuracy and neutrality. There’s a slight bass bump though it’s not the deep, booming bloated bass of typical fashion oriented consumer cans, instead a gentle sweep to add a little warmth and musicality to the sound and smooth the edges of a less than stellar recording. The quality of the components and build are superlative. The 99 classics are as sturdy as any headphone I have held and the finish is flawless. The cables are sleeved in Kevlar with quality connectors and a solid remote control on the shorter of the two. The 99 classics are symmetrical. Each cable splits to a pair of jacks, the left with a tactile ring around the plug and accents on the cables matching the colour of the headphones. The cables connect to jacks on the underside of each ear cup. There’s a trend towards single-sided cable attachments in modern headphones, but depending on the construction of the cable they can apply excessive weight to one side of the headphones causing discomfort. I like the dual-sided arrangement as it maintains an even weight balance with the cable hanging directly beneath the headphones, rather than off to the side. Meze offers replacements of both original cables for $20 each. They also offer a range of cable upgrades, including a 1.5 mm UP-7N OCC (Ohno Continuous Cast) LITZ copper cable and a version of the same with silver plated conductors. Both are balanced cables with TRRS connectors and medical grade PVC insulation. They cost $149 and $199 respectively and include a 3.5 mm TRS adapter and a metal carrying case. The 99 classics are comfortable headphones with an even weight balance and even pressure across the head. 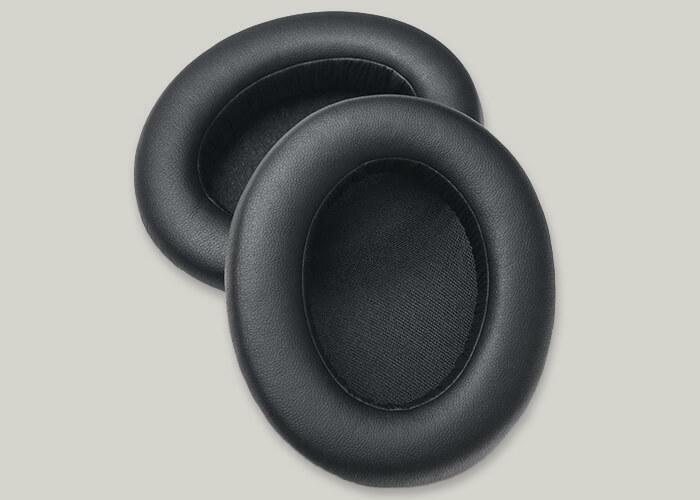 The PU leather pads don’t cause any excessive irritation over long listening sessions and sit comfortably over the ears. My only gripe (and it’s a minor one) is that the pads are a little shallow, and can cause the driver grills to contact the back of the ear. I’d like to see Meze introduce some deeper, plusher pads, and perhaps a velour option too for those who aren’t a fan of leatherette. The 99 classics are certainly comfortable even for extended listening sessions, but a set of deep velour or leatherette pads would elevate comfort levels to supremely comfortable status. Before any serious listening the 99 Classics were given more than the Meze recommended 60 hours of burn in time. Some are dubious of ‘burning in’ headphones and running in a pair of average headphones certainly won’t make them extraordinary. Headphones are however mechanical devices, and like speakers and cartridges it is a good idea to let them loosen up before playing them at high levels or judging their performance. The 99 Classics spent a few weeks plugged into my amp and as such were run in with a wide range of music of different genres and at varying levels, an approach that I feel is far better than any playlist of ‘burn in’ tones. My Marantz PM-11S3 integrated amplifier, Cambridge Audio 851N DAC / streamer and Technics SL-1210 with an AT33PTG/II were used to assess their performance with digital (file and CD) material and vinyl. During the review period I was sent a copy of ‘Autobiography’ by French Canadian guitarist and jazz vocalist Chantal Chamberland. Released on the Evosound label, this is her seventh album and is a compilation of hits from her previous six, delivered to me on hybrid SACD (EVSA336S). Those albums have seen Chamberland achieve international acclaim winning the People’s Choice Award for Canadian Recording of the Year at the Hamilton Music Awards, hitting number 1 on the HMV Hong Kong Jazz charts with her 2014 album Soiree which spent 16 weeks in the top 10, and playing headline concerts from Hong Kong to Cartagena and multiple appearances at the Montreal International Jazz Festival. Having had a taster of what the 99 Classics could do with a number of familiar records, I gave Autobiography a spin. The album features 13 tracks – some featuring only a guitar and vocal (a cover of Ed Sheeran’s ‘Thinking Out Loud) and most with beautifully recorded jazz instrumentation. Vocals in particular are portrayed beautifully with an ‘in the room’ presence not often associated with headphones, and several songs (‘Hit The Road Jack’, ‘Fever’, ‘You’re My Hero’ and a cover of the Patsy Cline classic ‘Crazy’) feature beautiful sax solos and some of the best recordings of the instrument I have heard on a disc. Returning to more familiar material, the 99 Classics were tested with a vast range of albums. I say albums because any intention to audition any one track quickly gave way to a need to hear the album. Hours – evenings and nights in fact were whiled away spinning LP after LP, disc after disc and stream after stream with zero thought given to making notes for the review. Luckily track by track accounts are uncommon here, as a headphone as involving as the 99 Classics makes writing such a review a mammoth task. The 99 Classics sound like an exceptional pair of speakers, which is a complement to their performance. Their ability to portray an image of immense proportions is one of their greatest strengths. Images extend beyond seemingly infinite boundaries suspended in open space and never sounding closed in or restricted. None of this comes at the expense of focus or instrument placement, with each instrument in a track, layer in a harmony or audience member beyond the stage easy to discern and given their own space in the mix. A particularly enjoyable listening session was spent playing one of my favourite live albums – the acoustic set from Shinedown’s ‘Somewhere in the Stratosphere’, during which the 99 Classics had me in a front row seat in the midst of the audience. The level of detail and the feeling of ‘being there’ was truly spectacular. I have heard this album on many a system both through headphones and loudspeakers, and the 99 Classics more than did justice to what is a stunning album musically, if not the best recorded. Vocals are rich and lifelike and there’s stacks of detail at the top end though it never becomes fatiguing. Even at high volumes or with badly mastered tracks that sound shrill on other equipment, the 99 Classics smooth out any rough edges and put in a composed performance though one that isn’t lacking in excitement, top end sparkle or rhythmic aplomb. The bass is stellar with the lowest notes of a thundering piano or kick drum felt as much as heard. The 99 Classics have been on review for a couple of months. Just as a musical instrument becomes an extension of its player, so the 99 Classics have become a constant musical companion. Time after time they have provided hours of pure musical pleasure and have had me spinning favourite albums and discovering new ones like only a top class piece of audio equipment can. These are some of the best headphones I’ve heard regardless of price or brand status. They simply must be heard because until you wear a pair on your own head you don’t know what you’re missing. No words can do these justice, I can’t recommend them highly enough.